Hungry Hungry Bees!!! Bobcat to the Rescue!!! Since it is wet again, we just have to do everything possible to boost the food supply for these girls as winter nears. 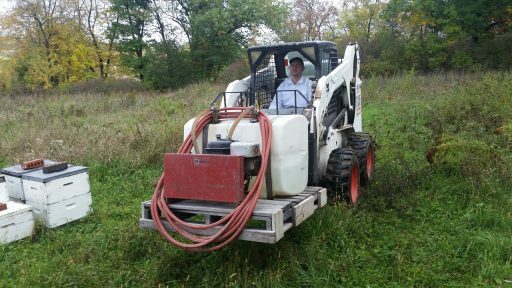 It’s slow going, but right now we’re pulling around the Bobcat with the syrup pump in order to keep them going and keep them alive with hope for spring. 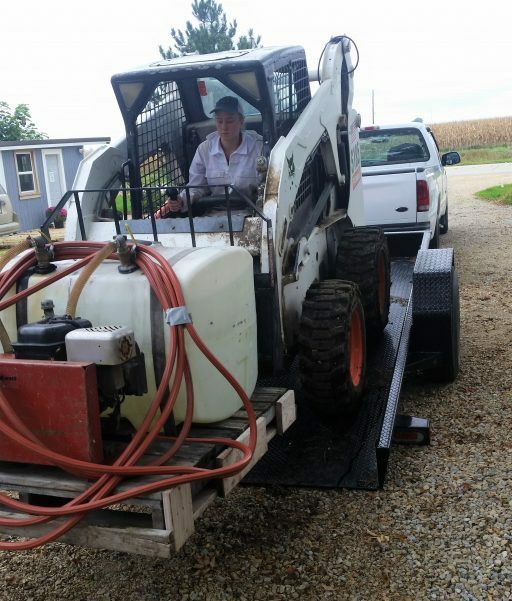 We park somewhere solid and let the loader take over to reach the bees without tearing up the property or getting stuck. It is one of those years where I feel bad for bees with keepers that refuse to feed them supplementary carbs. 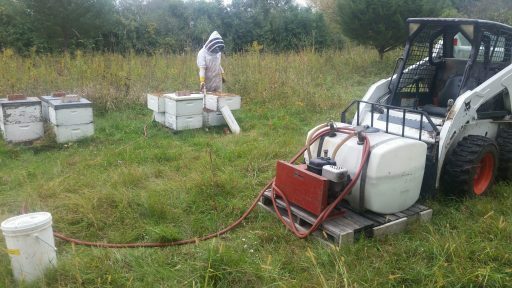 Without some help, there is going to be a massive die-off among bees that have endured this weird wet cycle during late summer and autumn 2018. 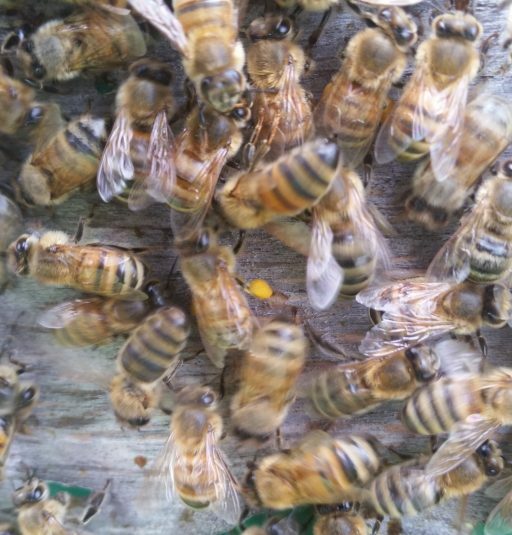 Here is what’s going on in our yards to do our best to keep the bees out of the graveyard. Wynne Loads Up for the Rescue Mission! Tanner Rolls in with the Sweet Stuff! Eat Up and Stay Warm!!! A dry spell is supposed to commence toward the end of the week. I hope it lasts long enough to enable a speedier round of caretaking. We also need to assess our post treatment mite status to determine our course for the remainder of the fall. Away we go!!! 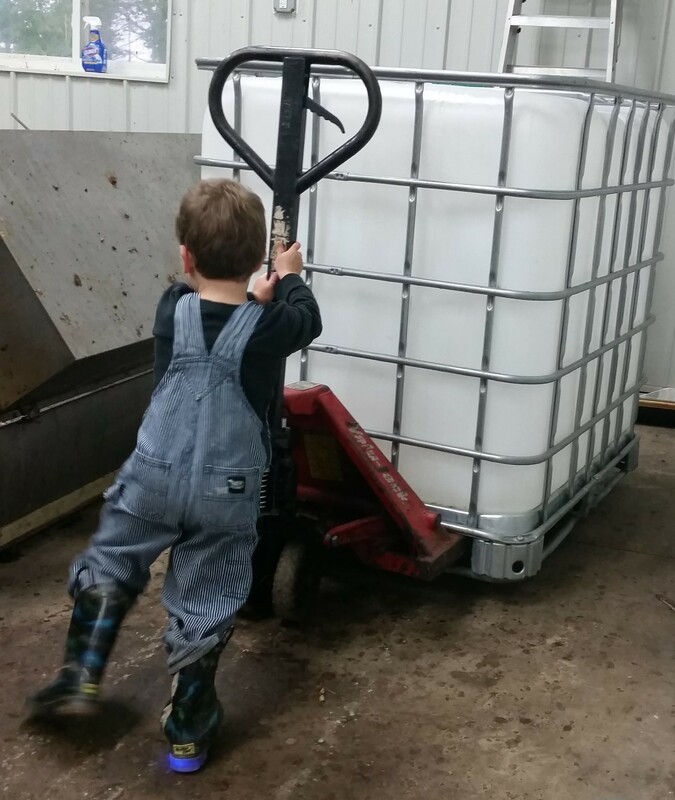 ⟵Harvest Concludes and the Syrup Pump Lives!